George Fox music professor and Bösendorfer Educational Artist Kenn Willson will perform pieces from his "Encounters with Beethoven" series as this year's Bösendorfer Concert Series event, scheduled for 7:30 p.m. Thursday, Feb. 20, in the university's Bauman Auditorium. Kenn will perform German Dance #1, Sonata Op. 31 #3, Sonata Op. 27 #2 ("Moonlight") and Joyful, Joyful, We Adore Thee (Tune: Ode to Joy). Kenn conceived and implemented an “Encounters with …” series in the early 2000s. He was asked to teach the general music history course at George Fox and, as he worked within that capacity, he thought, “Why not combine the ‘real’ composer’s thoughts and emotions with their music? Why must all the composer information be so dry? Let's discuss the ‘rock and roll-a-bility’ of Beethoven!” The result is endless fun and a concert series that is slightly off the beaten path each time it is presented. Tickets are $10 for general admission, $8 for seniors and alumni, and $6 for students and children under 12. Tickets may be purchased by clicking the below link or by calling the school’s box office at 503-554-3844. 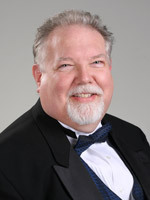 Willson, a tenured professor of music at the university, has traveled to Vienna, Austria, and to the Piano Academy in Recanati, Italy, to perform. He is also known throughout the region for his “Encounters with Beethoven” performances. Willson was named a Bösendorfer Educational Artist by the Viennese Piano Manufacturing Company in October 2005. Along with this honor, he was invited to visit Vienna and present a recital in Bösendorfer Hall on May 1, 2006, as part of Bösendorfer's “Happy Birthday Mozart” celebrations. The concert, sponsored by George Fox’s music department, has brought in world-renowned classical pianists since its inception in 2007. Past performers have included Baruch Meir, Gianluca Luisi of Italy and Valentina Lisitsa of Ukraine. For more information, call the university’s Department of Music at 503-554-2620. Note: This concert, originally planned for Feb. 20, was rescheduled for Thursday, March 13. Any tickets purchased may be redeemed for the performance that night, or refunds are available at the university box office.